Yonoshin is based in Arthur D. Little's Tokyo office. Within more than 25 years of consulting experience his primary expertise has been business strategy development and organizational transformation support in a wide range of industries, including manufacturing , information technology (IT), retail, consumer goods, and the transportation industry. 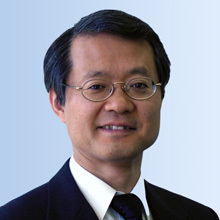 He also has extensive experience in corporate alliances between Japanese and global companies. Currently he is a head of the local Strategy and Organization practice, and also in charge of the South East Asia business. He has published several impactful management books, including “Digital Transformation for the largest Subsidiary of Japan Railway East, Kiosk,” and “Strategic Management of Intellectual Property (IP)”. He has been a member of government policy setting committees “Intellectual Property disclosure policy committee” and “ Patent distribution/securitization committee,” both under the Ministry of Economy, Trade and Industry.